If you’re tuned in to any of the many wine culture outlets, you’ve definitely read a headline like this: “The Wine Region You Have To Know About Right Now.” Most articles stop short of a straight-up “Or Else,” but you kind of feel like it’s there. Like you’re a step or two away from chain letter territory. So please take it with a grain of salt, and ideally some jamón Iberico, when we tell you about a white wine grape and its hometown region. Not that we presume to “introduce” a wine region that’s been productive in some way or another since the 11th Century. And we’re definitely not saying any of this with the passive aggressive guilting of a “So You Thought You Knew Wine” type of headline (let’s save those slick moves for family gatherings, right?). This is more like when you have a pretty good secret in junior high school and you’re bustin’ to tell. No matter how pissed off your friend Janie, or your beloved Sauvignon Blanc, is gonna get, you just gotta tell someone…there’s a white wine from Spain that the country itself is drinking, but we’re not. Which is why, say hello—if you haven’t yet—to Verdejo, and its Papa Bear region, Rueda, in the province of Valladolid, about two hours north of Madrid. There’s already one fantastic thing about Verdejo and Rueda: to know the major output of the region, you just need to know those two words. About 95% of what they produce in Rueda is varietal Verdejo, a grape that supposedly migrated its way up from Africa. Not that we’re grape historians. We just think it might make for an extra tingly summer if we pit this spritely white against some heavy (heavier) hitters like Sauvignon Blanc and Pinot Gris. But that’s part of the unexpected, and (god forgive us) hipster cool of Rueda. It’s not prim or picturesque. It’s rough-hewn, ancient-seeming, and generally unkind to plant life. To borrow from Bart Simpson, which I’ll probably do in my forthcoming Pulitzer acceptance speech, Rueda is a land of contrasts. Barren-seeming rocky sandstone and clay expanses that give way to verdant, gentle slopes in spring and summer; temperature extremes that drop from summer to winter (and even day to night) that could shock a bird out of singing. A landscape full of ancient, tortured-looking vines that have twisted and dug their way into rocky soil over decades, even centuries. All of which yields for you the wine drinker (potentially) substantial character. And, since it isn’t very well known, character at a lower cost. Before we get into the bottles, some basics. And then a three-page essay, due tomorrow (kidding, and yes, that gave us chills, too). Rueda is a pretty young D.O. (1980, meaning it’s just shy of being a Millenial wine region…) though, again, it’s actually a far older wine region making a comeback, post-phylloxera. So, in the lamest but potentially most helpful of all pop-cultural associations, kind of like that terrible/awesome-depending-on-how-sick-you-are movie “17 Again” (the remake, with Zac Efron and Matthew Perry): a character old and established must re-endure an involuntary second ‘youth,’ and ideally enrich itself still more along the way. As for the labels you might encounter, anything called “Verdejo” has to be at least 50% Verdejo grape, the rest probably filled out by Sauvignon Blanc and another white grape called Macabeo/Viura. But anything labeled “Rueda Verdejo” has to be 85% Verdejo, with the other 15% usually supplied by Sauvignon Blanc. As for some basic characteristics of the wine you’ll get in a “Rueda Verdejo”: generally meant to be drunk young, moderate acidity and minerality thanks to those Martian soils; fruity but never quite round or lush, in a good way; often subtle notes of anise or (super) delicate herbaceousness, with a pleasant, fleeting bitterness (like a pert crispness) on the finish. The kind that, yeah, will keep you going for more. Especially on a warm day. Also, and this is kind of nice as barbecue season is (hopefully?) upon us: incredibly food, and seafood, friendly. Basically a white wine alternative you kind of don’t know you have? Left: Some of the oldest vines in Rueda. Right: A concrete “egg” used for fermenting. Not that we’re trying to build a rivalry between Verdejo and Sauvignon Blanc. 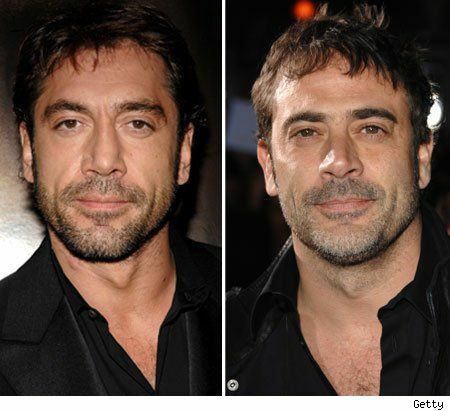 We have room enough in this world for Lady Gaga and Ke$ha, Javier Bardem and Jeffrey Dean Morgan, TGI Fridays and Bennigans (or wait, did they close?). We have room enough for Sauvignon Blanc and Verdejo. Maybe it’s just time to make a little more room for Verdejo. Verdejos are generally meant to be drunk young, but if you can’t find the 2015, grab what you see on the shelves. (Probably no older than 2013, though.) The 2015 comes from 40 year old Verdejo vines scrambled into clay soils. The juice is aged in stainless steel, with a few months on the fine lees, with some soft body to balance a nicely moderated acidity, and fresh notes of pineapple and citrus. Verdejo is generally meant to be consumed within a year, maybe two (though yes, that can vary). And a lot of what we’re currently able to get in the States isn’t the youngest (you’ll see more 2014 than 2015) but that doesn’t mean your bottle will be lacking. A moderate minerality and even a slight herbaceousness, amplified by notes of grass and splashes of lemon/grapefruit. Not that it’s all steely here; there’s a core of soft orchard fruit that will keep things lushly medium-bodied. Another that’s easier to find abroad, but worth the search since these are the guys experimenting with the giant concrete egg fermentation style. (And yes, it’s as futuristic looking as it sounds.) We were lucky enough to taste the 2013 and 2012, which had more structure and fruit (and even a bit of smoky nuttiness in the 2012, or were we dreaming?). But according to the winemakers, the 2014 is the only one available in the U.S., which is just fine with us since that means we get a citrus acidity balanced by soft white fruit flavors and some fennel slipping into the delicately green, clean, enticingly ready-to-drink look of the stuff. Bodegas Protos is well known as a producer of red Tempranillo-based wines in Rueda’s sister region, Ribera del Duero, but their Verdejos tend to do Rueda justice, with a nice light green apple and some of those fennel notes cutting into some moderate (not like dripping mango pulp) tropical fruit. Acidity and minerality are perky but not, well, jerky, and will generally be more pronounced if you find a bottle from 2015. Price point once again is kind of brilliant here, since about $12 will get you a fresh, fruity, highly aromatic white wine with plenty of complexity. Everything from banana and citrus to green apple, grass, and that tiny hint of anise that many young verdejos seem to show (don’t worry, licorice haters, this is as far from Ouzo territory as you can get). This one ticks in higher on the ABV scale with 13.5%, but the alcohol does nothing to overwhelm what you get in aroma. Fresh pear skin, citrus and spring florals. Knock it back and the tang kicks in, with more citrus/acidity and some restrained minerality. A classic—or if we may be so bold, archetypal—Verdejo from a 60 year-old family run winery, and one of the first in the D.O.. You get loads of flavor with fresh green apple, hints of dry lemon peel, and just a splash of exotic fruit and floral aromas to mingle with more of that anise. All grown from 100 year-old vines. OK, sadly not available in the States, but we wanted to include this one because it’s barrel-fermented. Also because Mocén has an incredible array of underground passageways that make you feel like you’re in the wine cellar of some ancient king. Here you have a 100% Verdejo that gets time in new French and American oak as well as time on the lees, which (as we learned, ahem) can influence and enrich the mouthfeel. If ever you can find it, you’ll definitely get more wood character, honey, spice, tropical fruit, and a big finish.